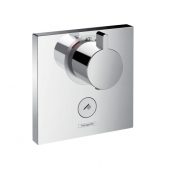 The best bathroom designs are based on two principles; consistency and detail. Consistency matters when making sure that all your elements match. Pairing a super-modern cube bath with a curvy, classical basin can spoil the look of both and doesn’t make the most of your money. Detail ties into that, because matching your décor correctly means considering everything from bigger fixtures down to the taps. 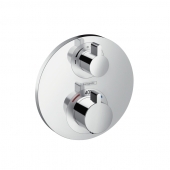 These are a great example, because not everyone realises that when they purchase a new shower or tub, it may not come with faucets by default. 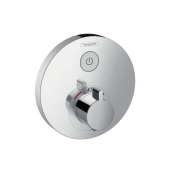 This may seem like a nuisance, but it allows you to have some say in the exact look of the unit or upgrade its functionality. Many ranges have matching fittings, so finding the right faucets doesn’t have to be a chore when you’re already busy with renovations. 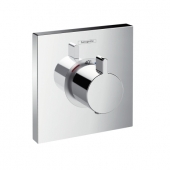 Shop online to find some great discounts for mixers, even in designer ranges. 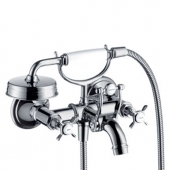 There are a few types and features that you should consider before picking faucets. 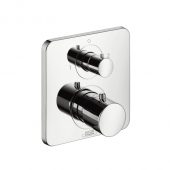 Remember also that you may be limited by the range or style of the unit you’re fitting it to, so it pays in the long run to look for fittings at the same time as the main unit. 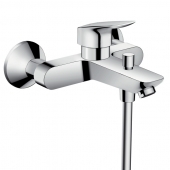 Single lever mixer. 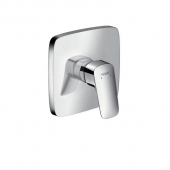 Like a basin faucet, these have a single lever that is turned one way or the other to control temperature. Double lever mixer. 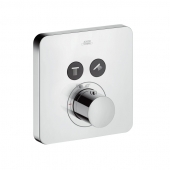 Just like above, but with traditional, separate hot and cold controls. These can still be very modern. Concealed fitting. 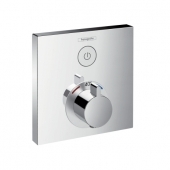 Consider this for a contemporary, seamless room as all you’ll see is the actual taps and head. Exposed fitting. 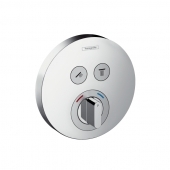 The more typical style, this allows you to see the pipes and is cheaper and easier to repair. Thermostat. 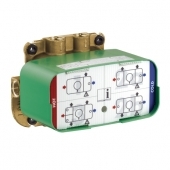 Many modern mixers are able to automatically regulate the temperature. 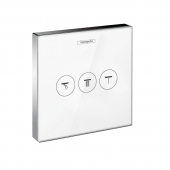 These might give you some ideas about the kind of shower unit or mixer set up you prefer. Once you know, you can budget for it and factor it into your renovation plans. This is also a great time to start narrowing down a brand. 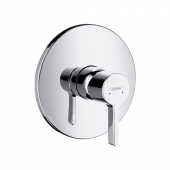 The next step in your new bathroom design is to research individual models, both of the main units and the faucets, as you can’t really get one without settling on the other. Thankfully, there are stores on the web where you can buy designer, modern mixers and they might be more affordable than you expect. Sticking to one range is a good way to keep everything compatible and consistent in design. 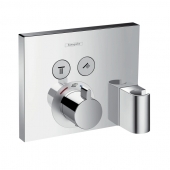 Grohe, Keuco and Hansgrohe are three good manufacturers to start with. 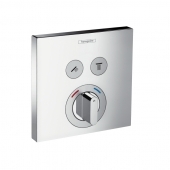 Grohe have high quality thermostat mixers in the Grohtherm range, which feature a very smooth, all-in-one design that won’t overshadow the bath. 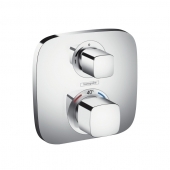 Staying minimal, try the Grohe Allure Brilliant series for a cube shaped concealed system. Keuco offer a deck mounted mixer for three-hole set ups in the Edition 11 range, featuring an almost wand-like head. 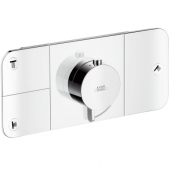 The edition 300 offers a wall mounting tap set into a neat, square plate that won’t impact the design of the room too heavily. 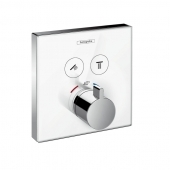 Those who wish to stay eco-friendly might like Hansgrohe Ecostat, for a two handle shower mixer that features a thermostat and Ecostop button to limit water consumption. 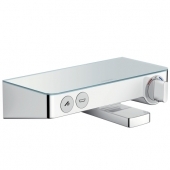 You may find it wise to grab a backup bathtub battery when you use these electronic fittings. 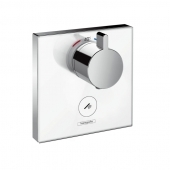 Hansgrohe’s Axor series includes mixers for varying price ranges and styles, such as Axor Citterio with a stunning, square shaped free-standing unit. Looking elsewhere, Dornbracht have a super-contemporary range of black fittings that really stand out for a bespoke design. 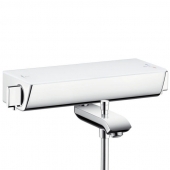 Search for Tara for those, or see Dornbracht Madison for deco-like inspiration in chrome, white and even gold. Ideal Standard produce the Melange range which features an alternative free-standing mixer. 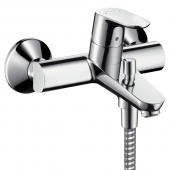 The Moments range, also from Ideal Standard, has a swivel tap that suits asymmetrical design. 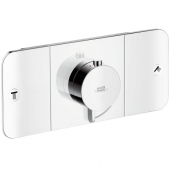 Look at Steinberg 160 for a smart cubist faucet or Jado New Heaven for a mixer plate with a cute T-bar handle. 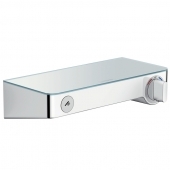 Finally, try Kludi for some elegant bar-shaped mixers in the New Waves series. 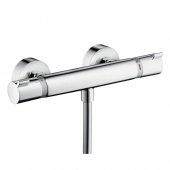 With the above as inspiration for your search, you’ll soon find the perfect bathroom fittings. Keep your design consistent and remember that the details matter!